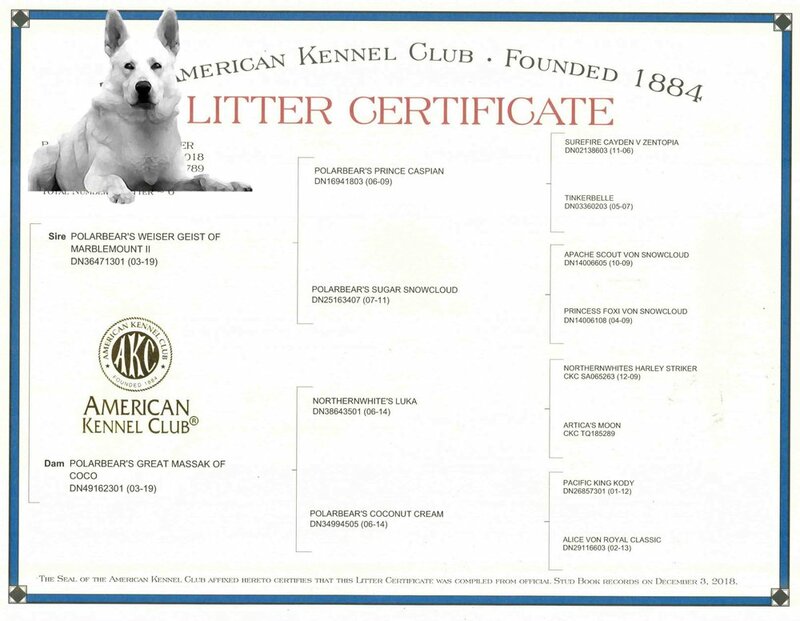 These are “Pick Litter” puppies according to their test results. To get an idea of what these puppies will look like and how they will behave as adults, watch the video below. The parents of these puppies are Maggie and Weiser. Individual test scores are available upon request and as a part of our selection process. If, based upon your application and our meeting, we believe one of these puppies would be ideal for your wants and needs, we encourage you to “jump” at the chance to get one! They are priceless!